Blunt abdominal trauma is a challenging aspect of trauma management. Early detection has a major impact on patient outcome. In contrast to physical examination, computed tomography is known to be a sensitive and specific test for blunt abdominal injuries. However, it is time-consuming and thus contraindicated in hemodynamically unstable patients. Therefore, focused assessment with sonography for trauma (FAST) offers a fast and easily applicable screening method to identify patients for urgent laparotomy without any further diagnostics. FAST detects, with high sensitivity, intraperitoneal fluid that accumulates in dependent areas indicating blunt abdominal trauma. FAST has been established as a gold standard early screening method for blunt abdominal trauma when performing trauma management in the emergency department (ED) based on the Advanced Trauma Life Support® algorithm. The development of hand-held ultrasound devices facilitated the introduction of FAST into prehospital trauma management. 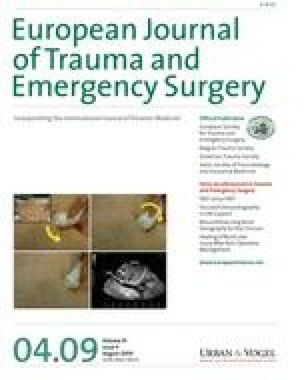 It was demonstrated that prehospital FAST (p-FAST) can be performed with high sensitivity and specificity, and can lead to significant changes in prehospital trauma therapy and management. Standardized training with both theoretical and hands-on modules is mandatory in order to gain the skills required to perform FAST or p-FAST well. M. Ruesseler, R. Breitkreutz, T. Kirschning, and F. Walcher belong to the Working Group of Emergency Ultrasound.